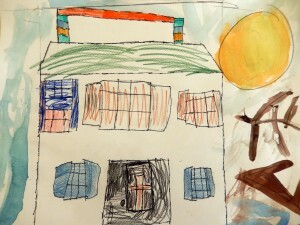 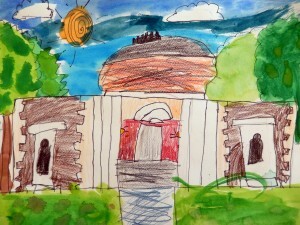 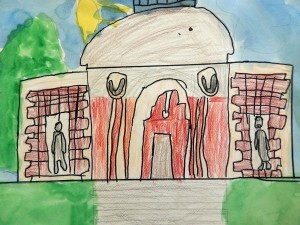 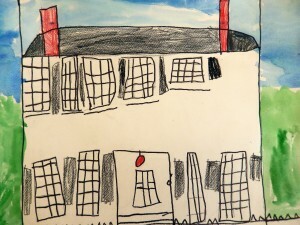 As part of their study of history and community, third-graders examined photos of historic Brunswick buildings. 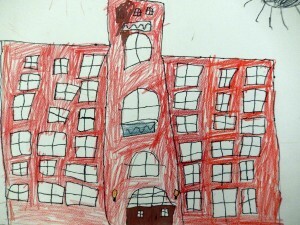 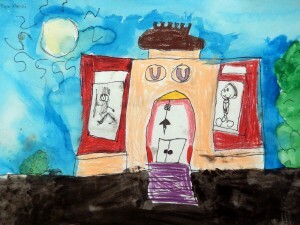 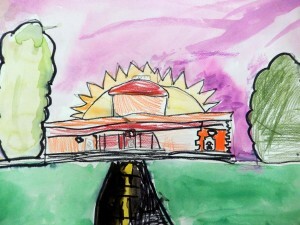 They chose their favorite and made detailed, realistic renderings of them. 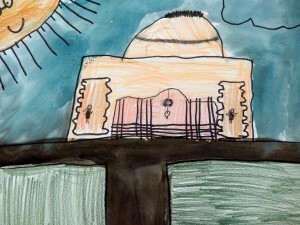 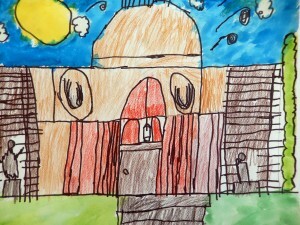 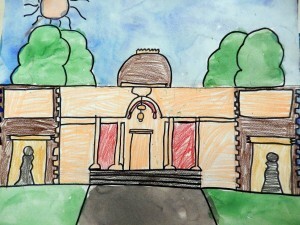 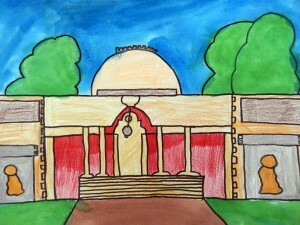 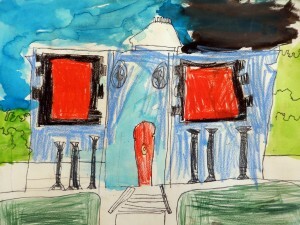 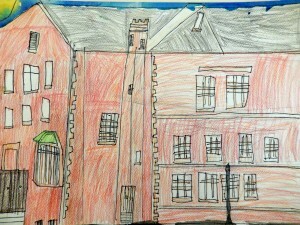 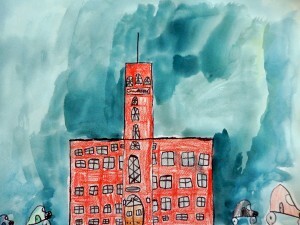 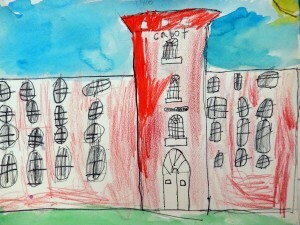 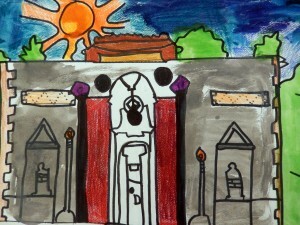 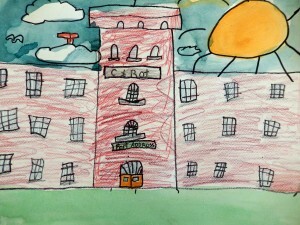 After tracing with Sharpie, they painted the backgrounds with watercolor and colored the buildings with colored pencils.